As the use of nodular graphite iron material has expanded in recent years for automotive safety parts, ultrasonic velocity measurement is providing a reliable, industry accepted means of verifying material integrity. 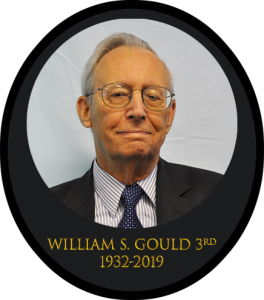 Unacceptable degrees or variations in Nodularity, a type of graphite structure than can develop during the production process, can attenuate the velocity of sound waves passing through the material. 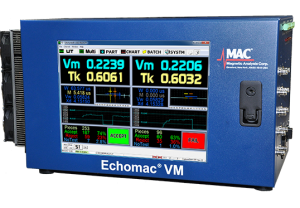 The Echomac® VM, measures this sound velocity, and using known limits, reports whether the part is acceptable. When graphite takes the form of spherical nodules, the result is nodular cast iron. Nodular cast iron is softer and more malleable than gray cast iron. The relative high strength and toughness of nodular cast iron provides advantages in many structural applications including automotive crankshafts, pistons and cylinder heads. Microscopic examination and tensile strength tests are effective for checking nodularity, but they take time and are destructive. 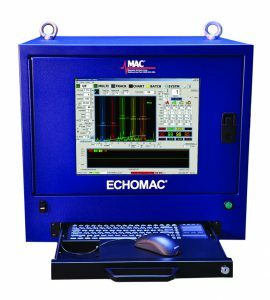 The Echomac® VM is a simple, effective instrument that measures velocity to assess nodularity in ductile iron cast automotive components.